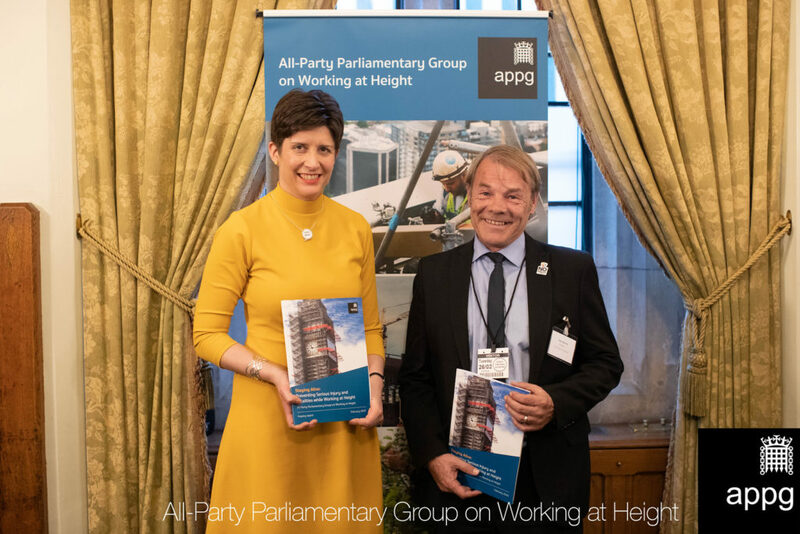 On Tuesday 26 February, the APPG held its first Parliamentary reception to celebrate the launch of our report into the UK work at height sector. Thank you to all Parliamentarians and industry representatives who attended the event. 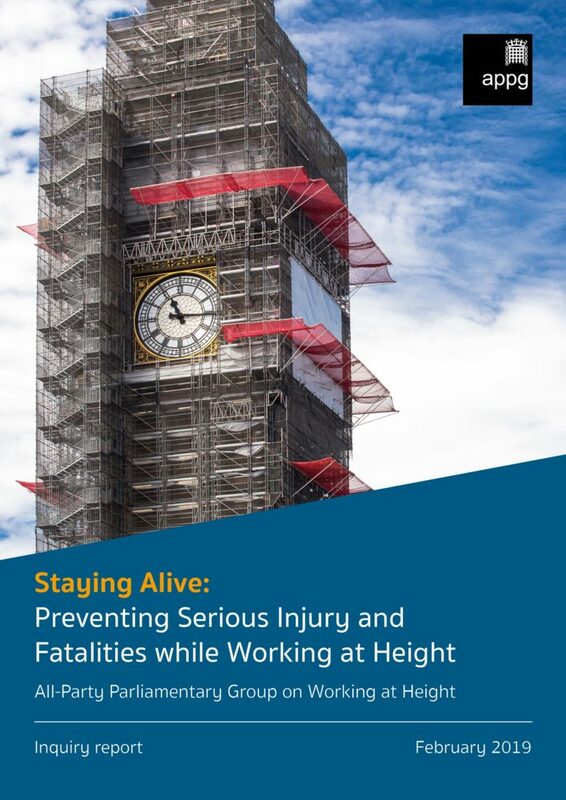 The APPG is delighted to present its inaugural report on how to improve the safety environment for the 10 million people in the UK who work at height. The report is the result of a 12 month inquiry by the APPG. We are now calling on the Government and industry to undertake a major review of work at height culture, expand enhanced reporting and introduce reporting on near misses. All 2017-18 officers of the APPG stated that they wished to continue as officers of the Group. Baroness Masham (Crossbench) and Alex Sobel MP (Labour) both expressed interest in becoming members of the APPG. 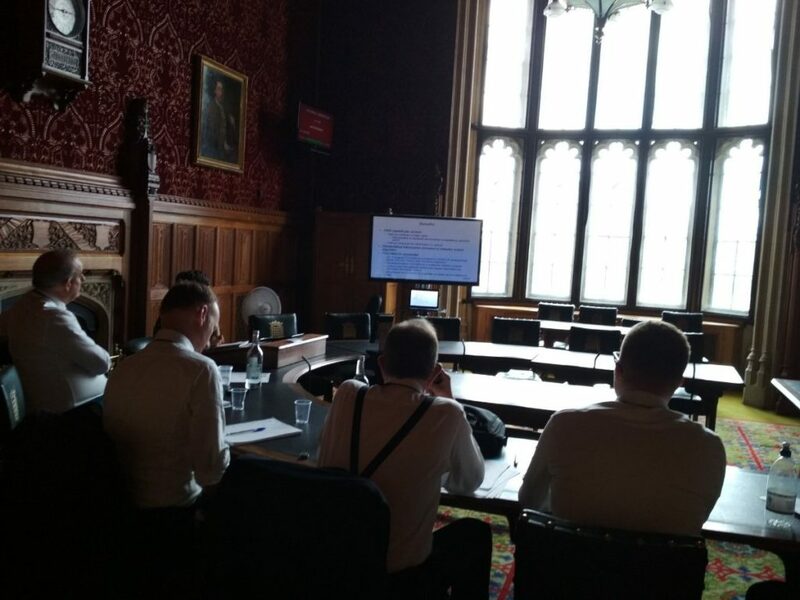 Over the past 12 months, the APPG has been gathering evidence to form the base of the APPG’s first report, which examines how best to prevent serious injury and fatalities when working at height. The report will be launched on 26 February 2019 in Parliament, which will provide an opportunity for its recommendations to be heard by industry representatives and MPs. 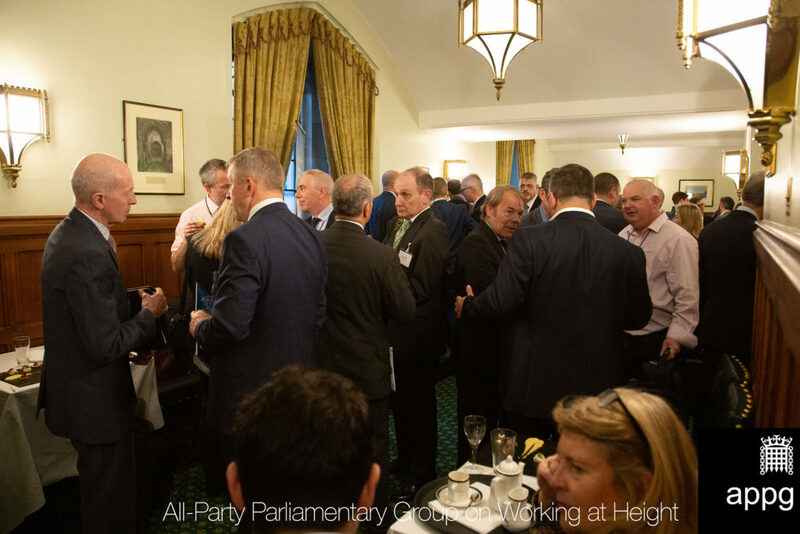 The AGM will provide an opportunity to hear about the APPG’s work to improve the safety environment for over 10 million people in the UK who work at height. 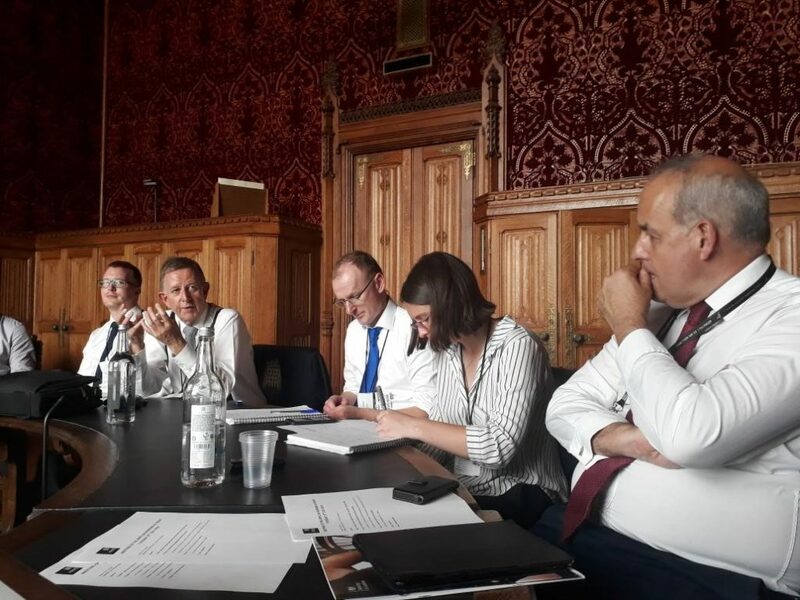 The APPG met on the 17th July 2018 to hear evidence from organisations who had set up successful confidential reporting systems. Effective reporting systems are essential in capturing the reasons for workplace injuries and providing insight into how to prevent future incidents. It was great to hear from Paul Mc Nulty at CROSS, who spoke of the importance of learning from precursors to prevent serious incidents and protect workers. Ian Dugmore from the CHIRP Charitable Trust provided valuable insights, stressing the importance of proactivity and trustworthiness in building an effective reporting system. Peter Bennett introduced the work of the No Falls Foundation – which exists to prevent fatal and life changing injuries caused by working at height. He highlighted that the Foundation have identified at least 34 million unsafe acts in the last 5 years, and that falls from height have caused almost 200 fatalities in that period. If you would like to learn more about the topics discussed or hear about future meetings please contact the APPG via the form below. 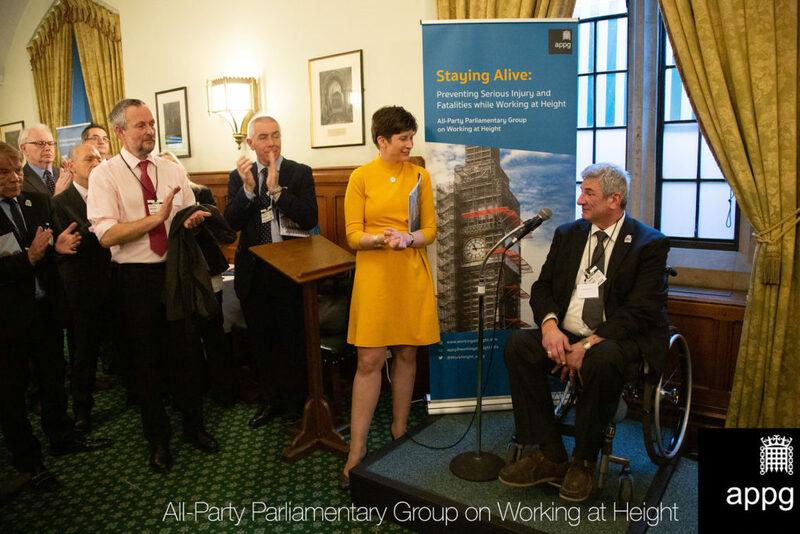 With over 60 responses received, the APPG on Working at Height held its first oral session on the 28 March, 2018. We are no longer accepting any further submissions. The report is currently being drafted. The report will be launched in due course. 1) In your opinion, what are the primary reasons for falls, or falling objects, which cause serious injuries or fatalities when working at height? 2) Do you have any comments about the existing regulations for work at height, as set out in the Work at Height Regulations (2005) ? 3) Are there specific measures you believe are necessary to prevent falls, or falling objects, from height which are not currently required by law? 4) What more can industry do to avoid falls from height, and share good practice? 5) What role should end users/customers have in ensuring safe work at height? 6) Would you support enhanced reporting of falls from height as a way of better understanding the causes and helping to reduce falls from height? 7) Do you believe the current definition of competence for working at height is appropriate? 8) Can you propose any innovative suggestions, particularly using digital technology, which could have a positive effect on reducing falls / falling objects from height? “This is not an official website of the House of Commons or the House of Lords. It has not been approved by either House or its committees. PASMA, a founder member of the Access Industry Forum, represents the interests of manufacturers, suppliers, specifiers and users of the mobile access tower industry and has, as its primary objective, the promotion of safe working at height from mobile access towers.